MOSCOW, December 20. /TASS/. Russia’s security services have prevented over 60 terror attacks in 2017, Russian President Vladimir Putin said on Wednesday. "This year, the security services have foiled the plans of preparing over 60 terror-related crimes," Putin said at a special ceremony devoted to Security Service Workers’ Day. 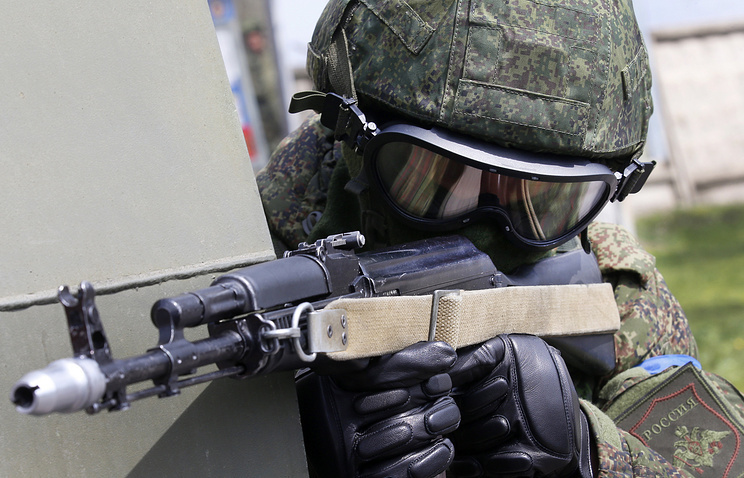 Terrorists are trying to adapt to a changing situation, the Russian president said. "International terrorism today involves both lone terrorists and networked deeply clandestine structures and underground, so-called sleeper cells," the Russian president said. 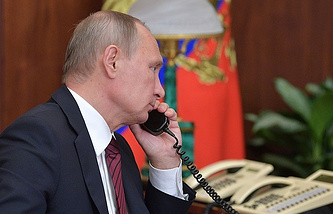 The Russian leader called to continue systematic and consistent work and maintain maximum concentration. "It is necessary to strengthen both external and internal contours of Russia anti-terror security, carry out work to eliminate financial and recruitment networks, counter the attempts by extremists and radicals to influence the youth, the attempts to spread the ideology of hatred, religious intolerance and aggressive nationalism," Putin said. Russia’s special services should defend the country’s public and political life from foreign interference, he said. "Counterintelligence and intelligence bodies shoulder great responsibility. [They] must provide a reliable barrier to foreign interference into our public and political life and thwart any efforts of the foreign special services that, and it is not a secret, do everything to intensify their activities in Russia," Putin said speaking at a concert dedicated to Security Agency Worker’s Day. "You should provide informational and analytical support to the state’s crucial decisions in defense and foreign affairs," Putin said. "Equally effective should your efforts be in other major fields, namely in the struggle against crime and corruption, in the border control, in the protection of state and special facilities and in ensuring reliability of systems of government communications and management," the president said addressing the security services officers. Putin hopes that they "will strive for high, maximum results in each profile problem and will act firmly, highly professionally and efficiently." The head of state thanked security services officers "for service, for a considerable and meaningful contribution to the country’s security and sovereignty.". "We will push ahead with neutralizing hotbeds of international terrorism as resolutely and to act in concert with other countries and all those who are prepared for struggle against this global threat and for maintaining information exchanges," Putin said. These days, just as it was in the past, terrorism is a threat that has to be resisted. "I’m aware of the skillful and delicate work you have been doing to outperform foreign intelligence services and deal strikes against crime and corruption. I am certain about the ever-lasting requirements the special services' personnel are be expected to meet, such as strict compliance with the Constitution and the law and the readiness to do the most intricate, most difficult and sometimes most dangerous jobs," Putin said. He pointed out that precisely this kind of tasks had to be addressed while furnishing support for the anti-terrorist operation in Syria. "Information provided on time, the disruption of militants’ supply channels, and disorganization of their contacts and control systems were a worthy contribution. And efforts by the army and the naval forces promoted the defeat of the main group of terrorists and the elimination of the stronghold from where they threatened Russia," Putin said.